Place a large, heavy-bottomed pot over medium-high heat with 2 turns of the pan of EVOO, about 2 tablespoons. 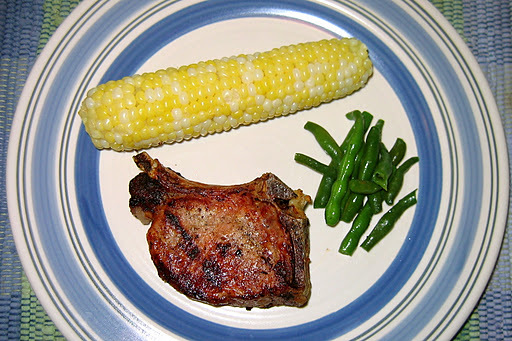 While the oil is heating up, season both sides of the pork chops with salt and pepper. Add the chops to the pot and brown on all sides. Remove the chops and reserve, loosely covered with foil. Add the potatoes to the pan and cook, stirring occasionally, until golden brown, 4-5 minutes. Add the onions to the pan and cook until golden brown, 4-5 minutes. 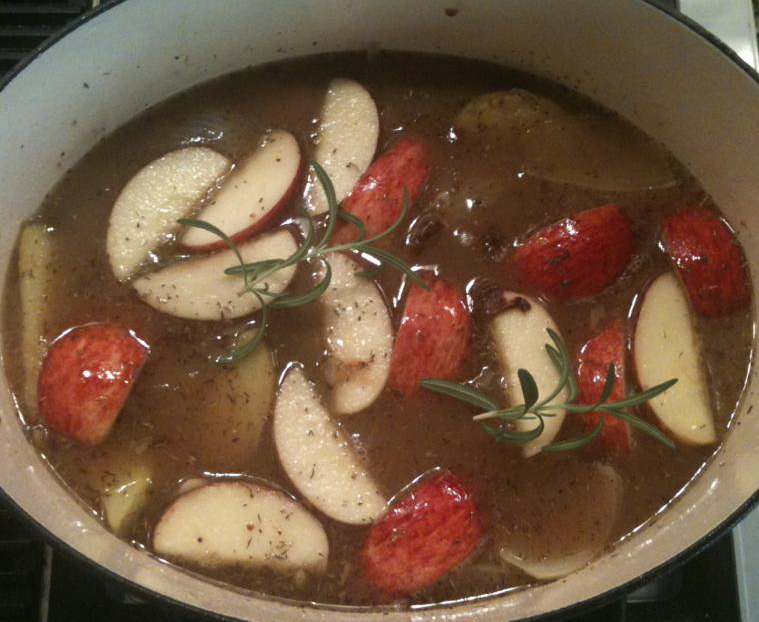 Add the apples, thyme sprigs, apple cider, chicken stock and maple syrup to the pot, and bring up to a bubble. Nestle the browned pork chops back into the pot, tucking them in amongst the onions and potatoes. Cover with a tight-fitting lid and let simmer until the chops are cooked through and potatoes are tender, 10-15 minutes. Fish out the thyme stems and discard. Squeeze the juice of the lemon over the pot and give everything a quick stir. Serve the pork chops topped with the veggies and pan sauce, with plenty of crusty bread and a salad alongside.